For Greeks and international tourists, the Saronic Gulf Islands are popular getaways from Athens. Each one has its own flavour. Aegina is the closest to Athens. Given its proximity to the capital, it's become a holidaymaker's suburb of the city. Graced with lovely beaches, the busy, cosmopolitan island also has a rich and fascinating history. Visitors enjoy attractions such as the Temple of Aphaia and the monastery at Agios Nektarios. Hydra is considered the most beautiful of the Saronic Islands, with its quaint, picturesque main port accenting its gorgeous shores. Its booming tourist industry has not diminished its charm and character. 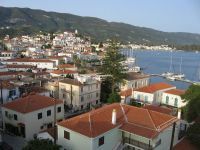 Poros is known for its wooded, mountainous scenery and jolly nightlife. Apart from the exciting nighttime revelry in the waterfront area, its attractions include Bourtzi Castle, an Archaeological Museum, and the Sanctuary of Poseidon. Poros also has some great beaches. Somewhat less crowded than islands like Aegina, Spetses is extremely popular with luxury travellers. It also has wonderful hiking and swimming locations. The endearingly picturesque port of Dapia has an old-fashioned charm. Agistri is also very lovely and has a relaxed atmosphere. Its nightlife is nothing special within the Saronic Islands, but it's a wonderful destination for families.